This is Tricky's 13th studio album, recorded in Berlin and partly in Moscow in winter 2016. So no wonder you can find some Russian rappers on it. But also some familiar voices, like Francesca Belmonte and even Martina Topley-Bird. Tricky about the album: "This album now is the first album I've made (in years) which isn’t going to pay off some kind of debt. So it's more relaxed!" The CD and LP versions have an unmentioned bonus track: "The Only Way (Stripped Down Tricky Mix)", which Tricky shared on Soundcloud in July. The CD has two "wrong" tracks on it, see discography for details. You can buy all formats at the official K7 webshop or Bandcamp. released as a download single on 9. June 2017 (for details go to the discography). Later Tricky shared another version on Soundcloud for free: Stripped Down Tricky Mix, which also made it as a bonus track on the album (track 14). The first song Tricky and Martina did since 2003! He said that Martina sent her vocals by email! The song was released as a download single on 12. July 2017. For details go to the discography. These are remixes of other people of the first two singles. They were released as a download EP on 25. August 2017, go to the discography for details. This is a download single, released on 28. August 2017. The song features London singer Mina Rose, who also wrote the lyrics and will be on tour with Tricky from October on. Go to the discography for details. This is a FREE download single, released on 6. October 2017 to promote Breanna Barbara as the female singer for the US tour. You can download the song, which has new vocals by Breanna instead of Martinas, for free at Bandcamp. Go to the discography for details. You can watch it on You Tube! This video was shot in New York City, directed by Jenny Marie Baldoz. The camera goes along different streets, always in slow motion, starting at day and ending at night. Go to the videography for details. Details can be found at cover me. Das beste Tricky Album seit Jahren entspricht gänzlich seinem Titel. Es ist düstere Musik für düstere Zeiten. Die Party ist vorbei. Tricky vertont den Abgesang. Eine beklemmende und doch befreiende Platte eines Überlebenden. Natürlich ist das alles nicht neu, aber doch sehr eingängig und leicht zu mögen – musikalisch gesehen wahrscheinlich eine gegenseitige Bedingung. Dass die Produktion über jeden Zweifel erhaben ist, sei als Randnotiz noch angemerkt, insgesamt muss man aber schlicht attestieren: vielleicht das beste Tricky-Album seit »Blowback«. Video interview, Tricky talks about living in Berlin, his Instagram photos and more. If the above link doesn't work: it's also on You Tube. Tricky performs "The Only Way" and "When We Die" live. The above link is to the audio of the full show. You can also watch a video on Facebook or watch the live songs on You Tube: The Only Way, When We Die. Tricky talks about Berlin, his favorite guest vocalists, his favorite track on the album and more. Interesting interview that goes way back to the beginning of his career, shifting back and forth from the time of Maxinquaye to today (the whole title is >"People want the shiny stuff. 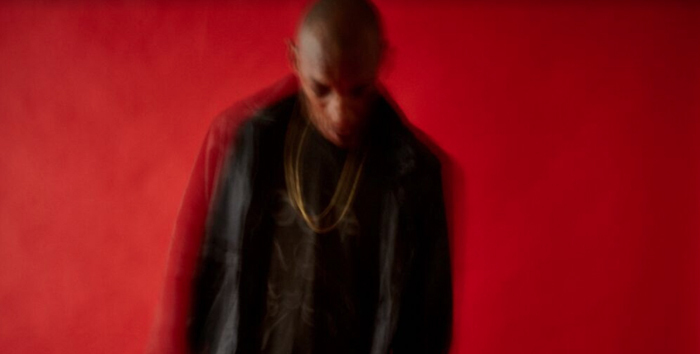 We're a bit too real": the rise, fall and return of Tricky<). It also quotes other people like Martina, Mark Saunders, Julian Palmer, Cally Calloman. Short feature with interview parts about the new album. Tricky was in the studio for an interview and a live performance of "When We Die" with Martina and "The Only Way"!!! The above link is the whole show in audio (the Tricky part starts at 2 hours, 9 mins). You can also listen to a shorter part here (Tricky starts at 19 mins, but it doesn't have "The Only Way") or the part where he talks about his Granddad here. Or you can even watch the live performance of "When We Die" as a video here.